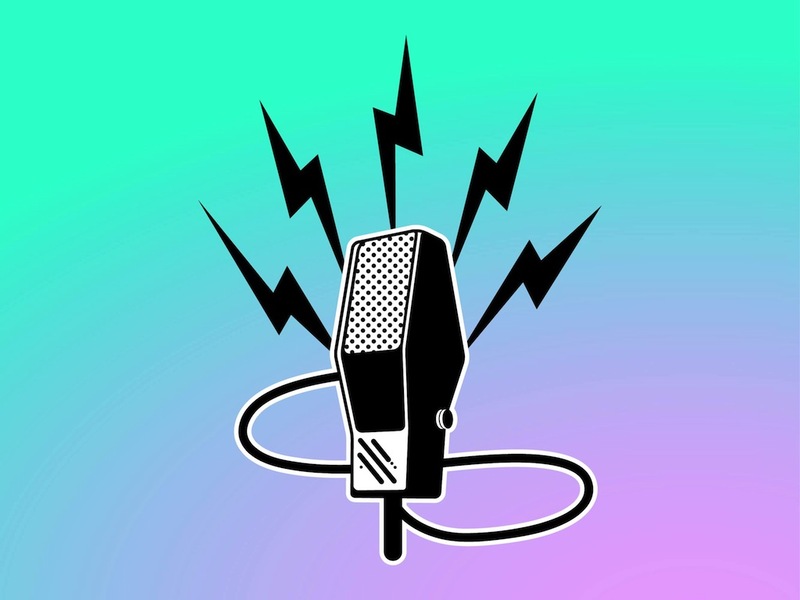 Musical vector illustration of a vintage microphone. Comic book style of the sound recording illustration decorated with lightning symbols. Free vector graphics to use in all your stickers, decals, clothing prints, tattoos, logos and icons. Download vintage mic graphics for all music, singing and records projects. Tags: Comic Book, Icon, Mic, Music, Recording, Retro, Song, Thunderbolts.